In a region of strong leaders and deep states, this month saw their power being shaken in scenes reminiscent of the “Arab Spring” of 2011. Away from the political fray, Christians journeying to Easter Day look to worship a leader whose power was demonstrated in loving sacrifice. Six Fridays of peaceful mass protests against ailing long-term President Abdelaziz Bouteflika of Algeria dissuaded him from running for a fifth term and then drove the ruling coalition to abandon him and the army to call for his removal. Bouteflika finally ended his 20-year rule on 2 April – but protests continued. Demonstrators saw caretaker president Abdelkader Bensalah as a member of the same system they had rejected and believed the promise of elections within 90 days would only continue business as usual under a new figurehead. Instead, demonstrators are calling for elections to choose a constituent assembly that will write a new constitution and establish the basis for a fresh political system. A number of parallels were easy to spot in Sudan. Here too, on 11 April, protests led by unions of professionals over four months succeeded in toppling Sudan’s Omar al-Bashir. Here too, demonstrators had continued to protest despite al-Bashir’s attempts to cling to power. 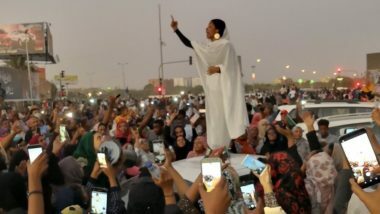 When a military council, led by General Ibn Auf, ousted al-Bashir and announced that a transitional body would lead the country for two years, demonstrators still pressed their demands for civilian-led rule. Several thousand remained camped outside the army headquarters in defiance of a curfew order and Ibn Auf resigned after only one day in power. Another general has been appointed as his successor. 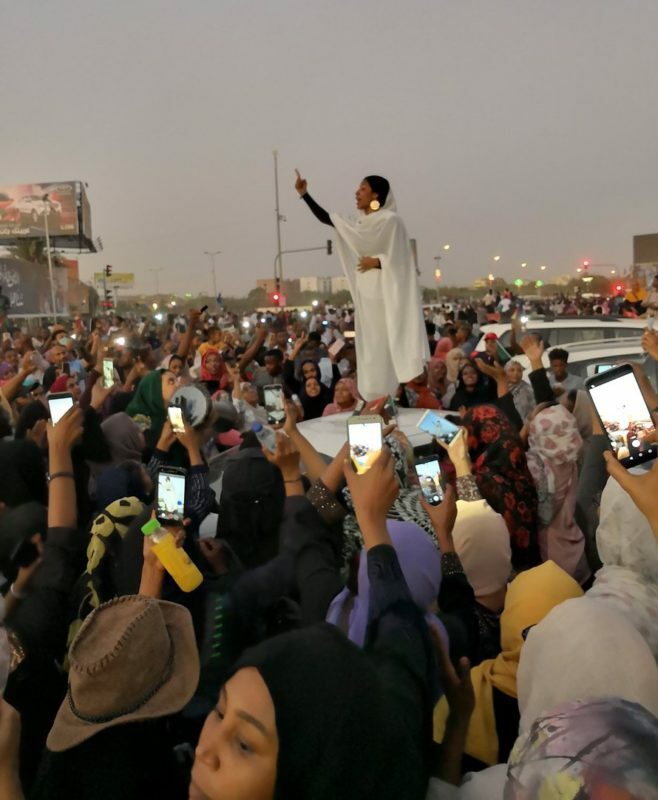 Amidst the struggles for power by military and ex-military men, the image of a young Sudanese woman in a traditional white robe, standing on a car and inspiring protesters in Khartoum, became an internet sensation. In Turkey, perceptions of the invincibility of President Erdogan were also shaken. Mayoral elections resulted in his AKP party losing all of Turkey’s major cities – Ankara, Istanbul, Antalya and Izmir. These cities combined are home to almost 70 per cent of Turkey’s population and much of its economy. The AKP has demanded vote recounts across the country. Losing Istanbul, Turkey’s largest city and the one which launched Erdogan’s political career as city mayor, is a bitter blow. A recount has given the opposition candidate the largest share of the Istanbul vote by a narrow margin but the AKP is still calling for a re-election. Any further delay to the political handover would likely have a significant impact on Turkey’s crumbling economy and could trigger social unrest. Events in Algeria, Sudan and Turkey all highlight how many populations are tiring of strong rulers who preside over collapsing economies and are frustrated with reducing employment except for those close to the ruling parties. The latter is a worrying undercurrent in a region where 65 per cent of the population is under 30 and young people see a bleak future ahead. The World Bank has warned that 10 million new jobs need to be created every year if the region is to handle its population bulge sustainably. The region has not seen the back of strong men, however. In Libya, warlord Khalifa Haftar started a military campaign to seize the capital city of Tripoli. Ironically, this was on the same day that the UN Secretary-General had arrived to arrange a conference paving the way for national elections. Haftar’s self-declared Libyan National Army (LNA) controls the east of the country and backs a rival government there, rather than the internationally recognised Government of National Accord in Tripoli. However, Egypt, the Emirates, Saudi Arabia and even France have seen Haftar as a source of stability, especially in combating Islamist militias in the country. But Haftar’s assault on Tripoli looks more like a coup attempt than counter-terrorism. Amid intensified fighting in civilian areas, thousands of people are being displaced and the Tripoli-based prime minister, Fayez al-Sarraj, warned Europe of the risk of massive migration if a prolonged war developed. The question of how regional and international actors impact developments in the region is as important for our prayers as the situations of individual countries. Another reminder of this came a week ago when President el-Sisi of Egypt shocked the US administration by withdrawing his country from a proposed “Arab NATO” to counter Iran. Meanwhile, observers are concerned by Egypt’s planned extension of presidential powers and term of office, which could see President el-Sisi serve until 2030. 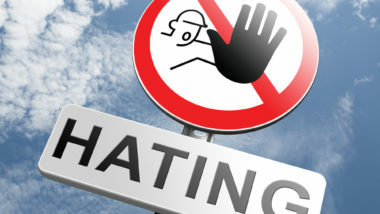 Although a referendum is likely to be held to confirm parliament’s decision, dissent within parliament and the country has been largely silenced by the country’s security apparatus and media control. A different style of leadership from the strong man was evident in Morocco this month. Pope Francis made a two-day visit to the country with a special focus on peaceful religious co-existence for Muslims, Jews and Christians, and on care for migrants. The trip followed his February visit to Abu Dhabi and both coincide with the 800th anniversary of peace talks between Francis of Assisi and the Muslim Sultan of Egypt. The Pope was welcomed by King Mohammed Vl and addressed hundreds of trainees at an institute for religious preachers and imams which itself seeks to counter extremist views. At a church-run refugee centre the Pontiff stressed “welcoming, protecting, promoting, and integrating” as keys to conferring dignity on migrants. The Catholic leader also called for peace and tolerance at a stadium mass for some of Morocco’s 30,000 Catholics. However, a plea to clergy at Rabat cathedral, for them not to evangelise beyond the Church community drew criticism from Evangelicals. 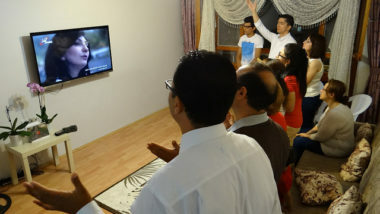 Evangelism of Morocco’s Muslim population is illegal, but the country now has a few thousand Christian converts who, since 2017, have been calling to live “without persecution” and “discrimination”. Servant leadership was also recognised in an award to a renowned Christian charity worker. Egypt’s Magda Gobran, better known as “Mama Maggie”, was one of ten women honoured at the Annual International Women of Courage Awards by the US State Department. 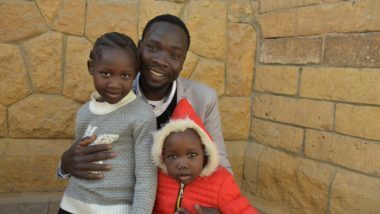 Mama Maggie left a successful career as a college professor in the 1980s to serve the poor in Cairo’s “Garbage Village”. 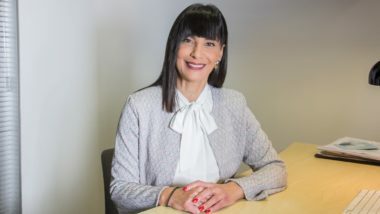 Since then, her charity has grown to offer food, clothes, education and vocational training to 30,000 children and families in slum districts across the country. Christians across the Middle East and North Africa (MENA) are now experiencing or preparing for Holy Week (those churches that follow the Eastern Christian calendar being a week behind the West). 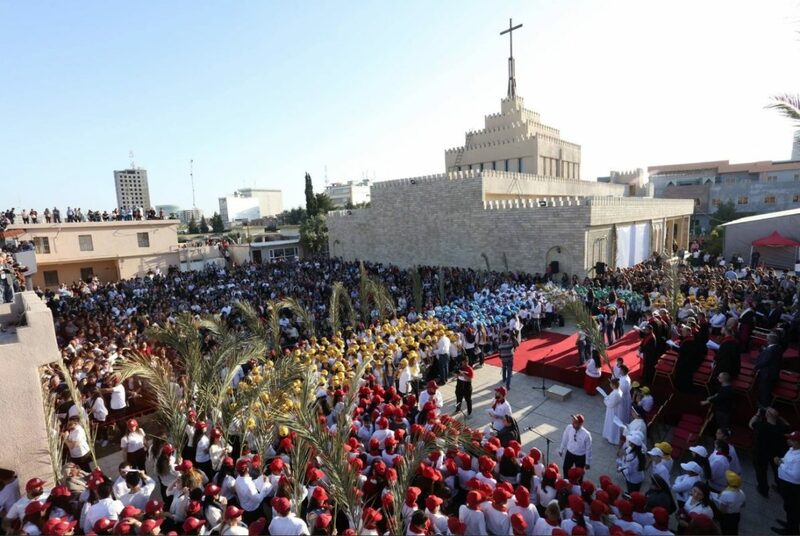 Video footage of streets and squares overflowing with believers celebrating Palm Sunday in Erbil, Iraqi Kurdistan, and Iraqi Christian towns in the Nineveh Plain, along with images from Lebanon and the Holy Land, demonstrate the deep faith of the region’s Christians. as they worship a Saviour who showed strength through love, service and sacrifice. 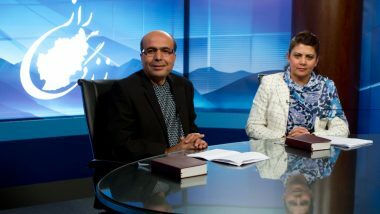 Do pray for them, for SAT-7’s many Easter broadcasts, and that the region as a whole will be impacted by Christ’s model of leadership. How will SAT-7 help MENA Christians celebrate Easter this year?